The Sibiu International Theatre Festival was launched in 1994 in the city of Sibiu that is located in central Romania. It is now considered one of the most important theater festivals in Europe alongside the Festival d'Avignon in France and the Edinburgh International Festival in the UK. From Japan, the festival has invited likes of Nakamura Kanzaburo XVIII, Hideki Noda, and Mansai Nomura to present Japanese theatrical arts to European audiences. More than 120 Japanese volunteers have also participated in the festival. 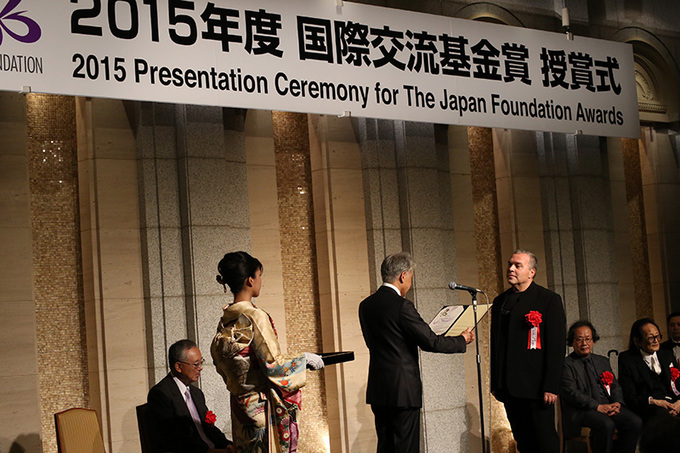 The festival's contributions to international friendship, goodwill, and cultural diplomacy are highly regarded and the festival has just been selected as a recipient of the 2015 Japan Foundation Awards. We present highlights of the awards' commemorative lecture given by festival founder and President Constantin Chiriac. Sibiu, home to the Radu Stanca National Theatre, which was built in 1788, is a city of culture where theatrical activities have been thriving for many years. When Romania was under the rule of dictator Nicolae Ceaușescu, theater was one of the few venues of expression where people who had been robbed of freedom of speech could share their anger, sorrow, and happiness. However, despite the high awareness of culture and the arts, the Romanian people were not permitted to leave the country, and it was impossible for them to freely pursue cultural exchange with other countries through theater. The situation changed dramatically thanks to the Romanian Revolution of 1989. When the door to the rest of the world opened up, Mr. Chiriac obtained the foothold he needed to start a theater festival. Right after the Ceaușescu government collapsed, I went to Berlin by myself. I was there to ask for assistance in rebuilding a theater that burned down during the revolution, but it was also my first step toward building relationships with other European countries. In 1992, I received an invitation as an actor from a city designated as the European Capital of Culture (a project that develops cultural events over a one-year period for a city in an EU member country). This was right when the Bosnia-Herzegovina conflict started, and around this time cultured people and performing artists were calling on the committee to designate Sarajevo as an alternative European Capital of Culture, together with the officials. These requests were accepted, and the name of European Capital of Culture was bestowed for a limited time on Sarajevo, a city not in an EU member nation. I realized then that culture and the fine arts have fantastic power, and at the same time, I felt a desire to start a theater festival in Sibiu, and a wish to someday have Sibiu become a European Capital of Culture. This resolve led to the first ever theater festival in Sibiu in 1993, which was a student theater festival that included eight theater companies from three countries. The Sibiu International Theatre Festival as it exists now was first held in 1994. At first, we held it over several days coinciding with World Theatre Day on March 27. From 1996 onward, we have held it over a 10-day period from the end of May to early June. Then we moved the schedule again in the mid of June, which is the most beautiful season in Sibiu. The number of participating countries has now reached 70 and in 2015, 427 programs were performed. It was a truly diverse group of programs including theater, ballet, contemporary dance, flamenco, street performances, and music. Each day saw a huge audience of 65,000. Regular theaters are not the only venues included in our festival. We have 67 indoor and outdoor venues, and we use the entire city of Sibiu as our theater. It is precisely this kind of undertaking that is important to both the festival and the city. When one considers how to develop one's town through a theater festival, it is first essential to educate the people coming to see the performances. Also, in order to draw people who have no previous connections to theater, it is indispensable to improve the quality of the programs. With such thoughts in mind, we have redoubled efforts to improve the quality of the festival, and have carefully selected the programs. As a result, the Radu Stanca National Theatre, the main venue of the festival, retains a repertoire of 93 works, and tickets sell out for every program. I think one can say that this is entirely a result of our having created a new audience. What changed the city of Sibiu in this way, and what was the driving force behind the festival? It had to be the people's strong feelings about theater. Nowadays, cultural projects account for 12% of the Sibiu city budget. This is probably the largest proportion for a city in the world. Then, the projects bring back the money, which is 16% for the following year's budget. Also, since people from other countries come to the theater festival, Sibiu's tourism and service industries benefit. As long as the strategy is sound, investment in cultural projects will generate sufficient returns. The Sibiu International Theatre Festival is truly proof of this! The Sibiu International Theatre Festival has a deep relationship with Japan. Since the festival's second year in 1995, when it invited the Japanese theater group, Theater Company 1980, it has continued to invite Japanese actors and theater and dance companies, including Hideki Noda, Mansai Nomura, Black Tent Theatre, Leni-Basso Dance Company, and Yamanote Jijosha Theater Company. A total of 73 groups have been invited to date. 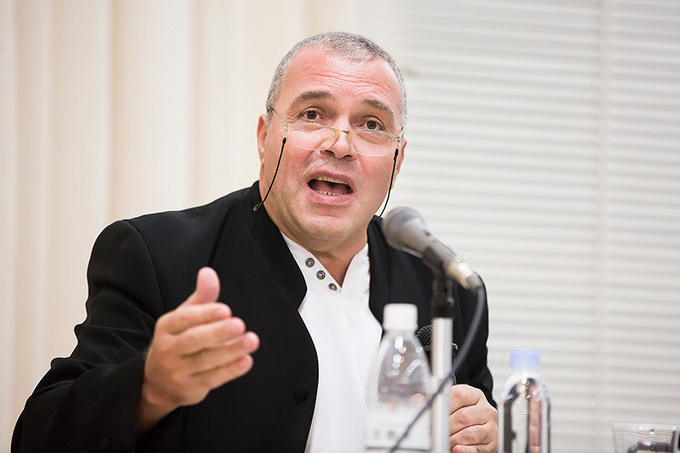 In his speech, Chiriac revealed the events that led to the invitation of Heisei NAKAMURA-ZA Theatre, led by Nakamura Kanzaburo XVIII, to perform the kabuki play Natsu Matsuri Naniwa Kagami [Summer Festival: Mirror of Osaka] (directed by Kazuyoshi Kushida) in 2008. Actually, since around 2000, I really wanted to invite Nakamura Kanzaburo XVIII to the festival. I still remember the conversation I had with Kanzaburo the first time I met him. "I am a cultural treasure in Japan. Therefore, I can hardly ever go overseas. If I leave Japan, I have to have 1,200,000 Euro insurance. Also, we have a total of 80 people including actors and staff, so we will need three airplanes." That's what Kanzaburo said. In other words, the members would have to split up and ride in three different airplanes so that we would be able to do performances even if the worst were to happen. Kanzaburo continued, "When we perform overseas we do at least four presentations. We did in both New York and Los Angeles, and had successful overseas kabuki performances." After hearing these conditions, a normal person would think it impossible and give up, but I made a commitment. I decided to absolutely invite Kanzaburo to do a kabuki performance. 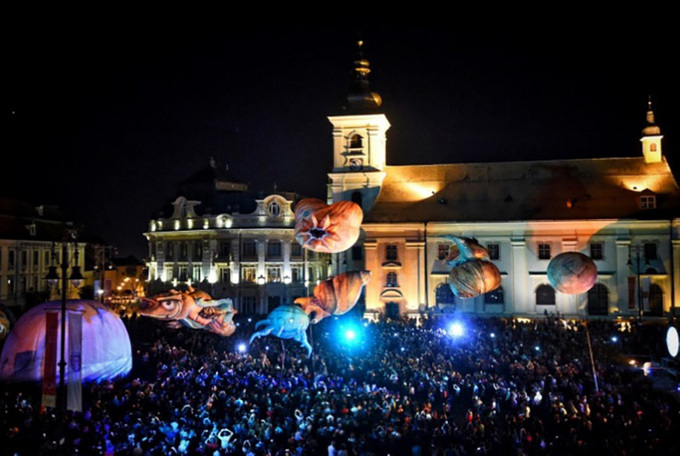 In 2007, the city of Sibiu got its wish to be designated a European Capital of Culture, and we undertook a record large production at the festival. We remodeled an old factory from the socialist period, and put on a program in which 120 people performed. Unfortunately, Kanzaburo was unable to come, but the director Kazuyoshi Kushida and Mr. Tanaka, the manager of Heisei NAKAMURA-ZA, did come and see it. After the two of them saw the performance, I believe they took a one-hour tour of the factory. During that time, I think they were confirming Kanzaburo's intentions. After the tour, they asked me, "If we come to your festival, can we put on a kabuki play in this factory?" My answer, of course was, "Yes." And that is how we realized the kabuki performance by Heisei Nakamura-za at the Sibiu International Theatre Festival in 2008. The year 2007, when Sibiu was designated a European Capital of Culture, was also the year that the EU-Japan Fest Japan Committee began a program of dispatching volunteer staff to the Sibiu International Theatre Festival. As of 2015, a total of 127 Japanese volunteers have participated in the festival. The program was formally established as the Sibiu International Theatre Festival Volunteer Project in 2014. In 2006, when we started up the European Capital of Culture Preparatory Committee, I built a relationship with the EU-Japan Fest Japan Committee and launched a project with great significance for the theater festival, a volunteer program that supports theater companies and performing groups at the festival. The project actually went into effect in 2007. At that time, a volunteer staff of 25 from Japan participated in the festival. Since then, we have enjoyed the participation of at least 15 volunteers each year. What is unique about the program is that the volunteers not only stay for the 10 days of the festival, but also for 10 days before and after, so they are there for about a month. During that time, the volunteers stay at the homes of ordinary Romanian families. We do this to create opportunities to deepen mutual understanding of cultures and lifestyles. Mr. Chiriac's activities go beyond being president of the Sibiu International Theatre Festival and his work as an actor. In 2000, he became General Manager of the Radu Stanca Theater. The theater's ensuing accomplishments garnered high praise and it was designated a national theater in 2004. 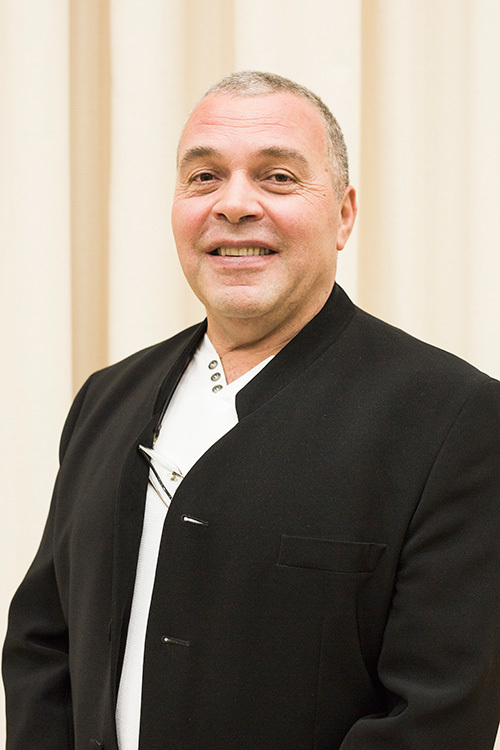 He is also deeply involved in education, and is a Professor of Dramatic Art at the Lucian Blaga University of Sibiu and 15 other universities in the world. The "Lucian Blaga" University of Sibiu established Department of Drama and Theatre Studies in 1997, and in 2000, it created the only Cultural Management Department at a university in Romania. The curricula of these departments have practical content that is coordinated with theater festivals, theaters, and other universities. We are also in the midst of planning a new strategy aimed at 2018. 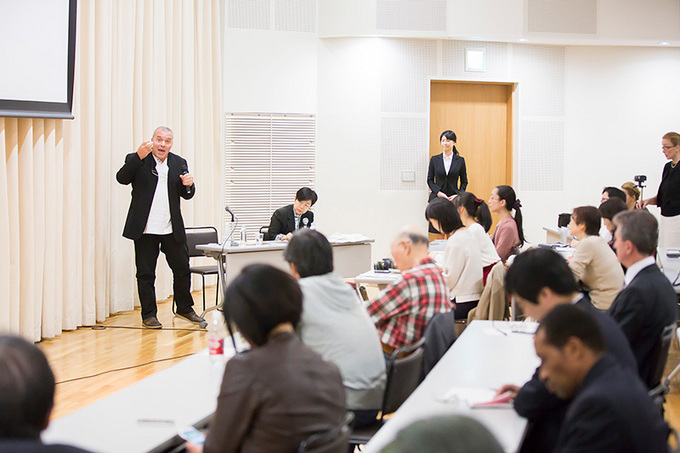 We created a platform for doctoral courses in performing arts and cultural management. At this stage, 19 universities from Europe, the U.S., and Russia are participating in this project, and I was able to schedule meetings with people at several Japanese universities during my current visit to Japan. I'm hoping that in this way, we can deepen exchange with universities around the world, and at the same time build a basis for constructing a platform for doctoral courses. If these efforts go forward, I'm sure we will be able to share performing arts knowledge across national boundaries. We are building cooperative relationships with universities, as well as many theaters and other organizations around the world. Some of these include the Odeon in Paris, the National Theatre of Brussels, the Teatro Regio of Turin, and the Brooklyn Academy of Music in New York. About three years ago, I also decided to pay attention to the importance of celebrities in performing arts. Los Angeles has the Hollywood Walk of Fame that honors people who have made achievements in the entertainment world. I wondered if we could do the same thing in Sibiu, upon obtaining the rights to do it. It came to fruition in 2013. Today, the names of 18 theater people are carved into the Sibiu Walk of Fame, including Peter Stein and Peter Brook. We are proud to have Nakamura Kanzaburo's name honored in 2013 and Kazuyoshi Kushida's in 2015. For me, there is no greater joy than this. Mr. Chiriac is the founder and President of the Sibiu International Theatre Festival. He has made his career first and foremost on the stage as an actor. In 2000, he became its General Manager at the Radu Stanca National Theatre, and still thrives as an actor. In 2015, the Sibiu International Theatre Festival received a Japan Foundation Award. Mr. Chiriac also received a Foreign Minister's Commendation (Individual) from the Ministry of Foreign Affairs of Japan, as the President of the Sibiu International Theatre Festival.